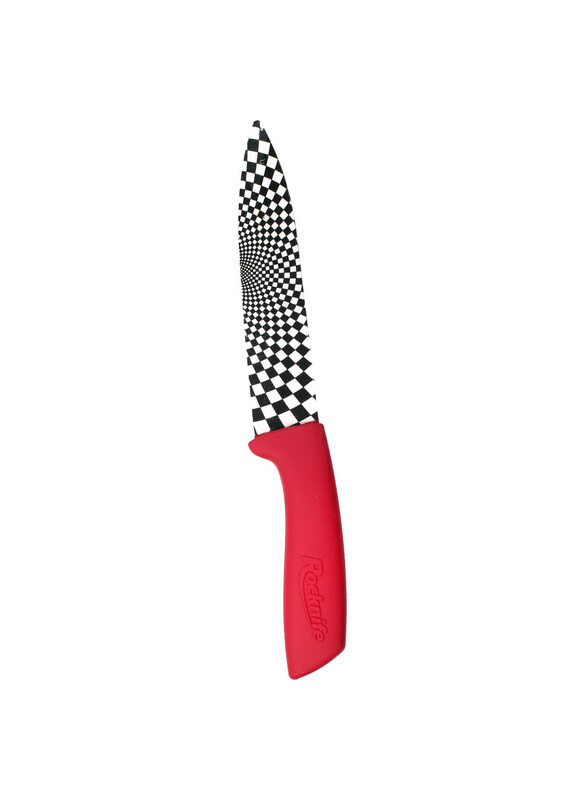 New Addition - the 8" Ceramic Knife - exclusive to Rocknife and ideal for slicing bread or as a general chef's knife. 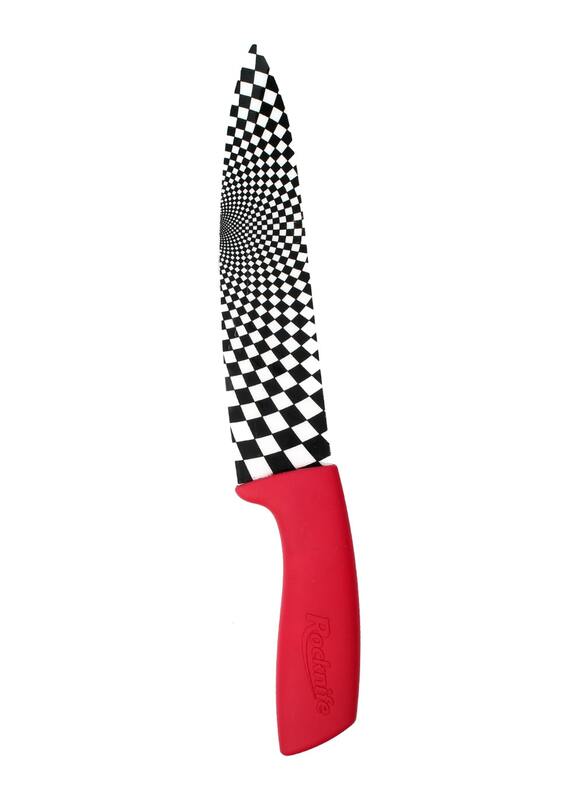 Did you know the 8" blade is the most popular length blade in the world - we didn't realise either. 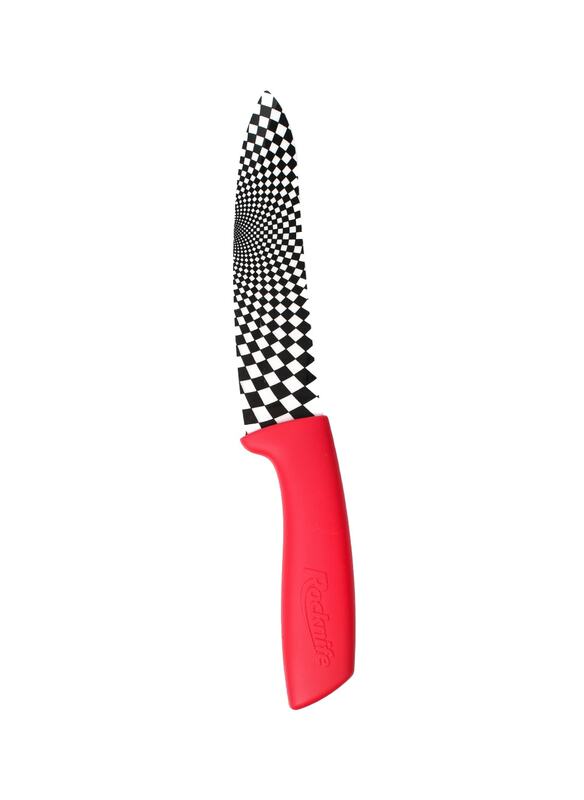 People like a big general purpose knife. 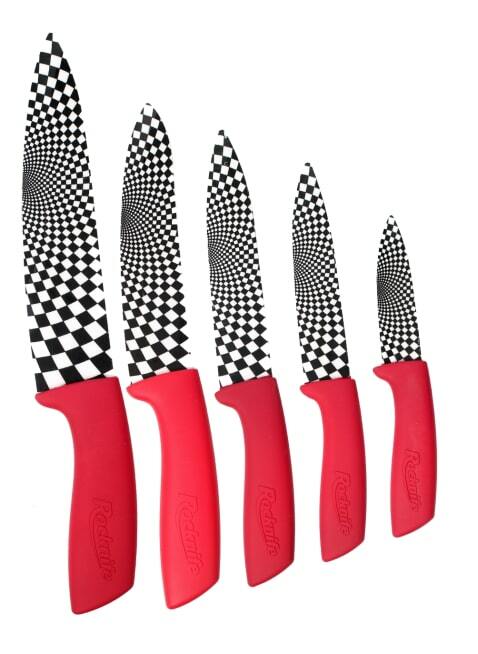 The blood Red Rocknife has been specifically designed for the modern and stylish kitchen, with extensive research the highly visible Red and chequered design means you won't lose these knives in a hurry. 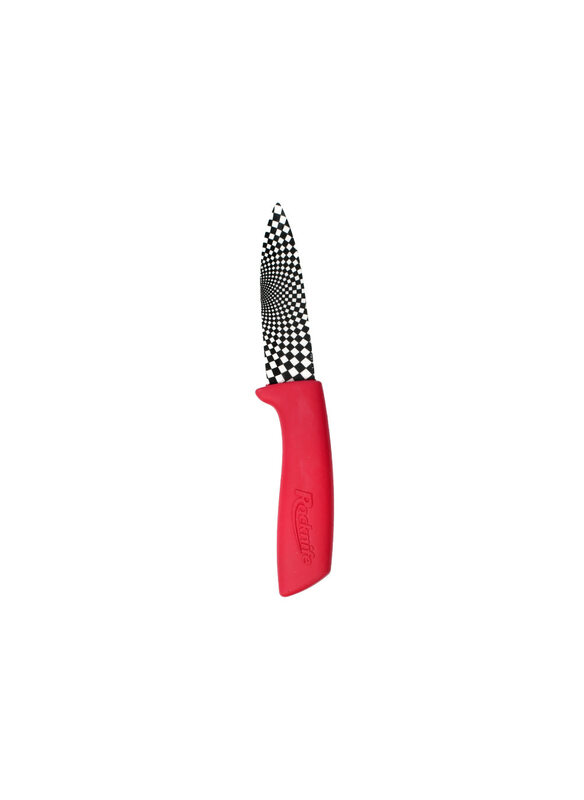 From the small 3 inch herb knife that is suitable for all herbs as well as small vegetables such as garlic, spring onions, or pithing Strawberries, grapes and cherry tomatoes to the 6 inch Chef's Knife a professional kitchen knife that can cut any vegetable, fruit, meat or fish, (we do not recommend using our ceramic knives for cutting bones) but pretty much anything else will slice beautifully. The 4 inch and 5 inch paring knifes are useful in almost all food preparation, including paper thin tomato slivers, kiwis, potatoes, courgette, aubergine and the list goes on. 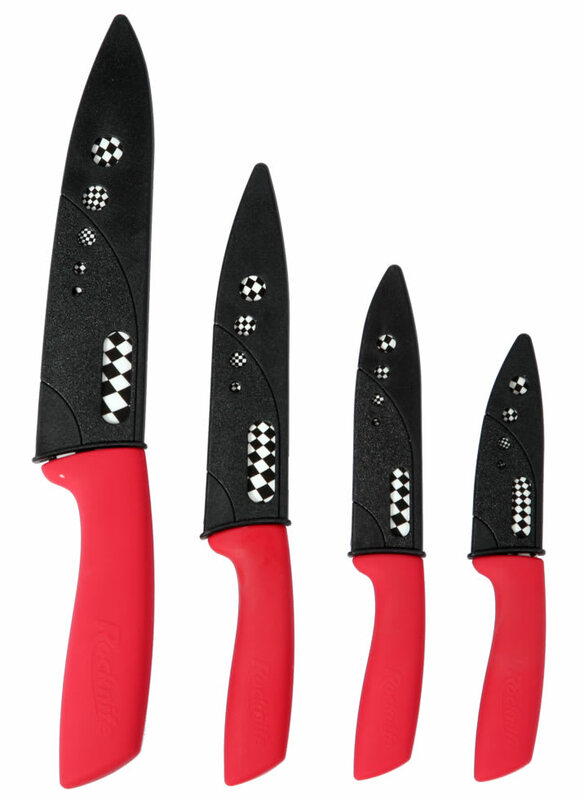 These knives are made from toughened Zirconium Oxide and measure 6 on the Mohs Scale (Steel measures 4.5 and Diamond 10). 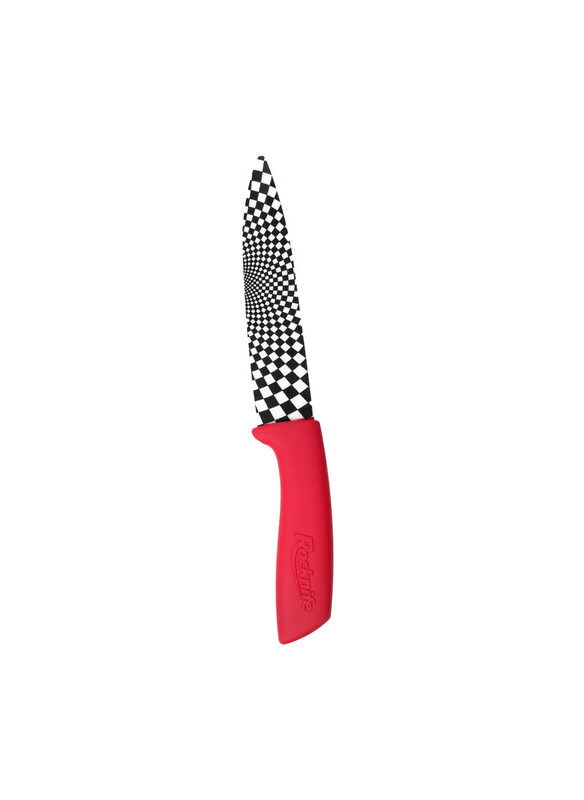 Super stylish every aspect of these kitchen knives have been designed, the coated soft grip handle is made from a special material that is dishwasher proof and the chequered black and white design will be a talking point for any dinner party. 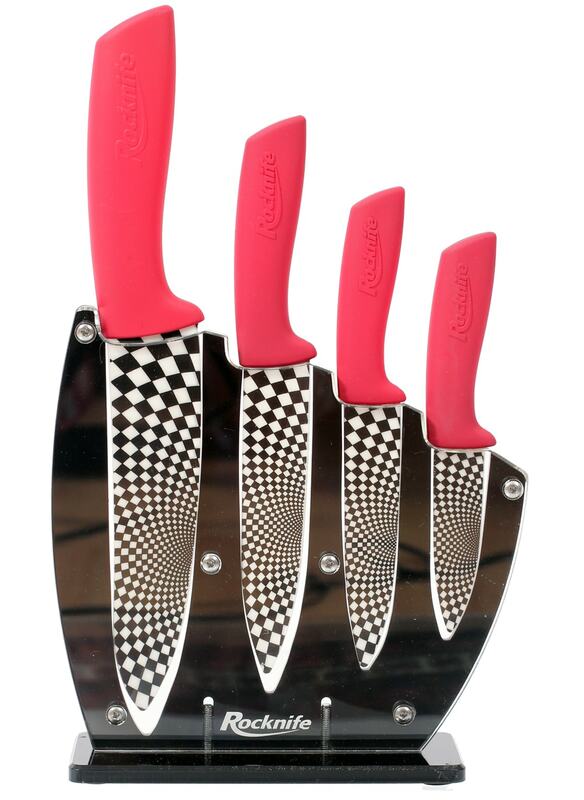 Select any knife of the length you require or enjoy the whole set with a free Stand, which can be either wall mounted or stand alone.